A versatile Crossover switch lets you adjust the low pass filter cut-off at stages between 80Hz and 150Hz. At the same time, the Phase switch allows you to choose a positive or negative polarity to prevent multiple subwoofers from cancelling each other out. 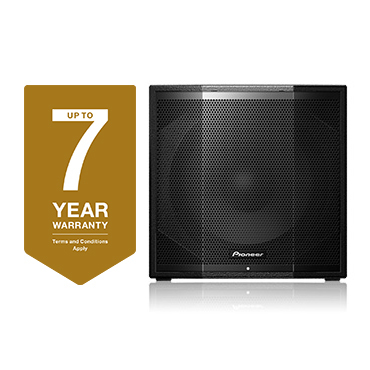 The XPRS115S subwoofer is packed with features to protect the drivers, amp and power supply – giving you peace of mind, consistent high-quality sound, and extending the life of your sound system. - Output overcurrent: reduces the speaker’s output to safe levels in the event of output overcurrent. Power Rating: 2400W peak / 1200W cont.